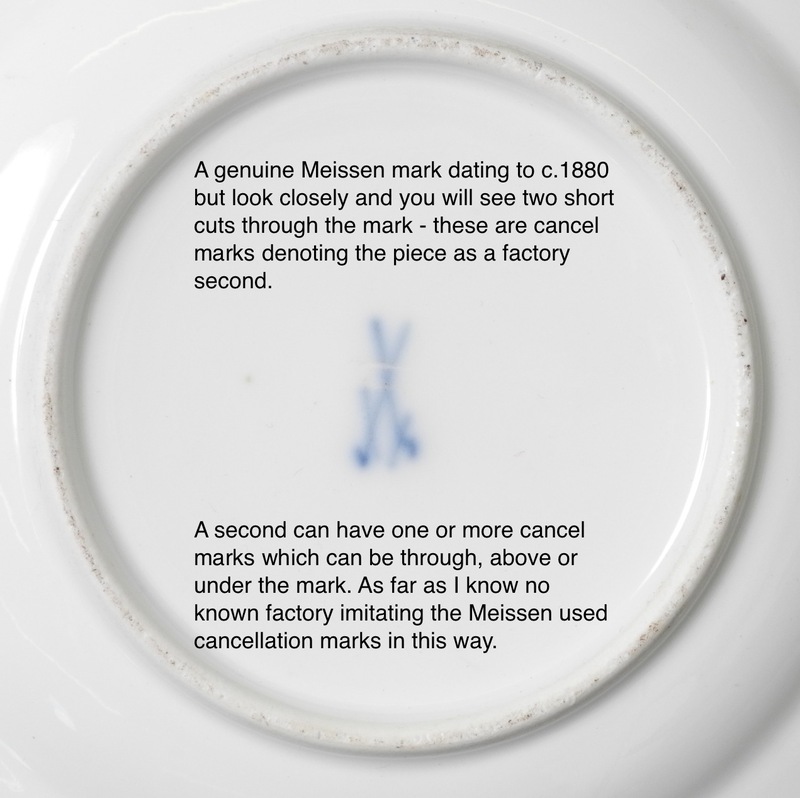 I have been meaning to do this for a while but I will add further information as more pieces come in – its a small informal pictorial guide to what is a real Meissen porcelain mark and what is a copy and will also illustrate how the mark changed over the centuries, I have added some dates to the illustrations but bare in mind as the same marks were used over a period of decades the dates provided are a general ball park so some caution has to be exercised when dating a piece from the style of the mark. 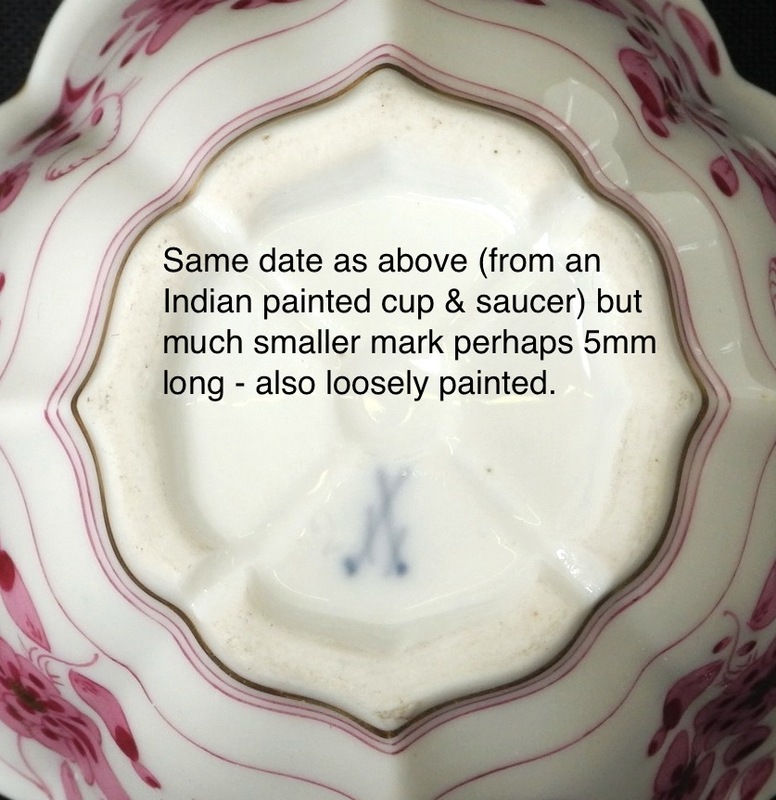 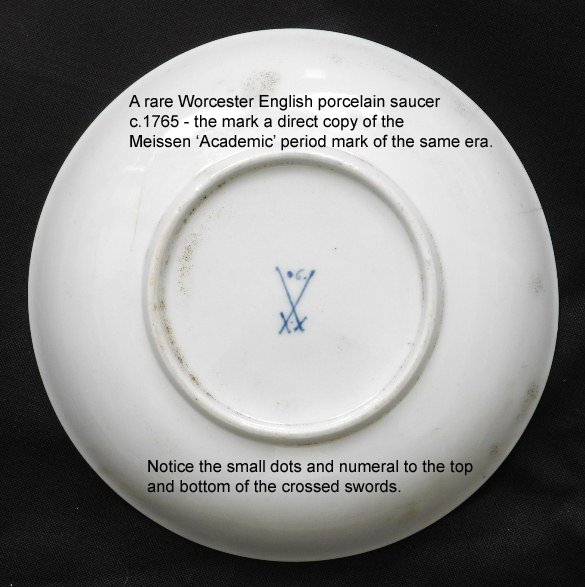 Its not really just a matter of comparing the mark; you have to assess the piece as a whole because some of the copied marks – particularly those found on some Edme Samson porcelain are near identical in style. 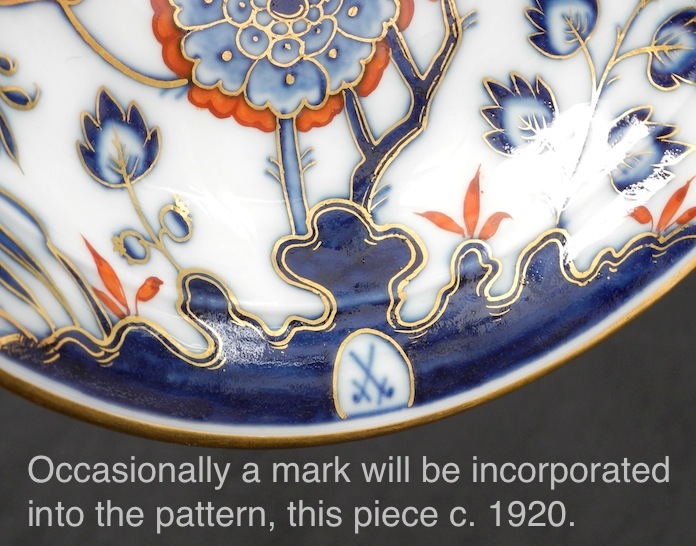 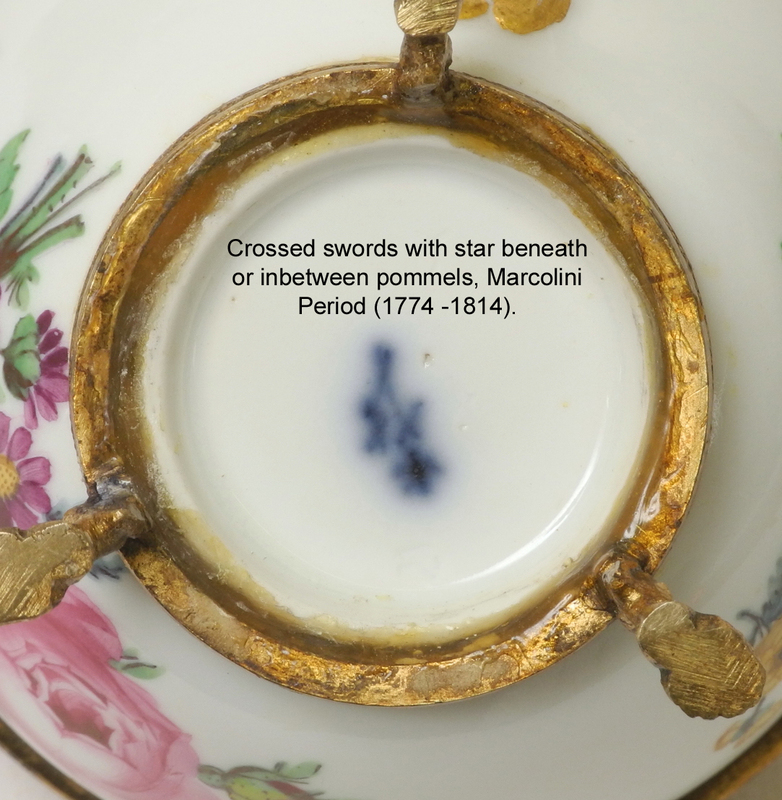 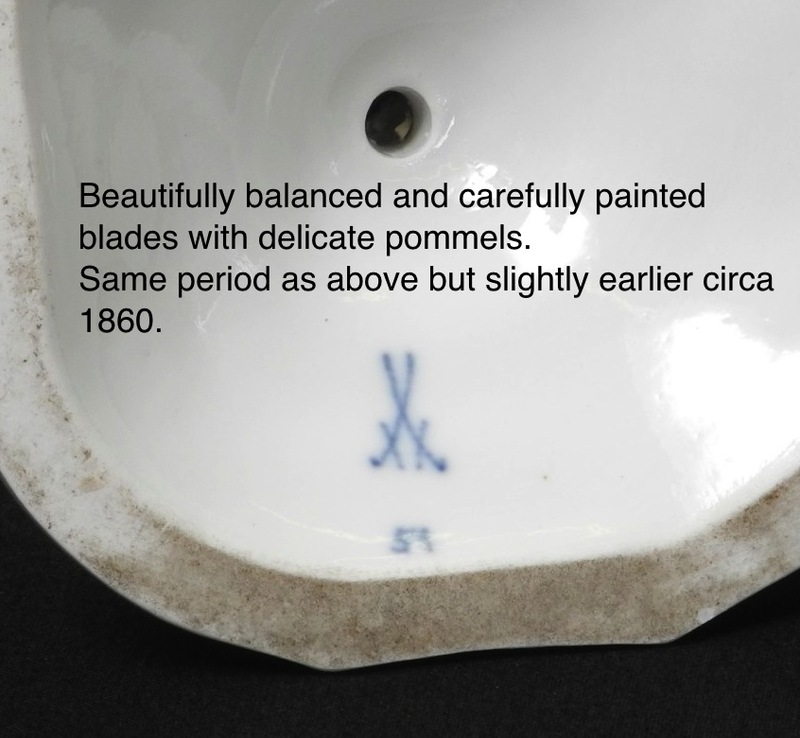 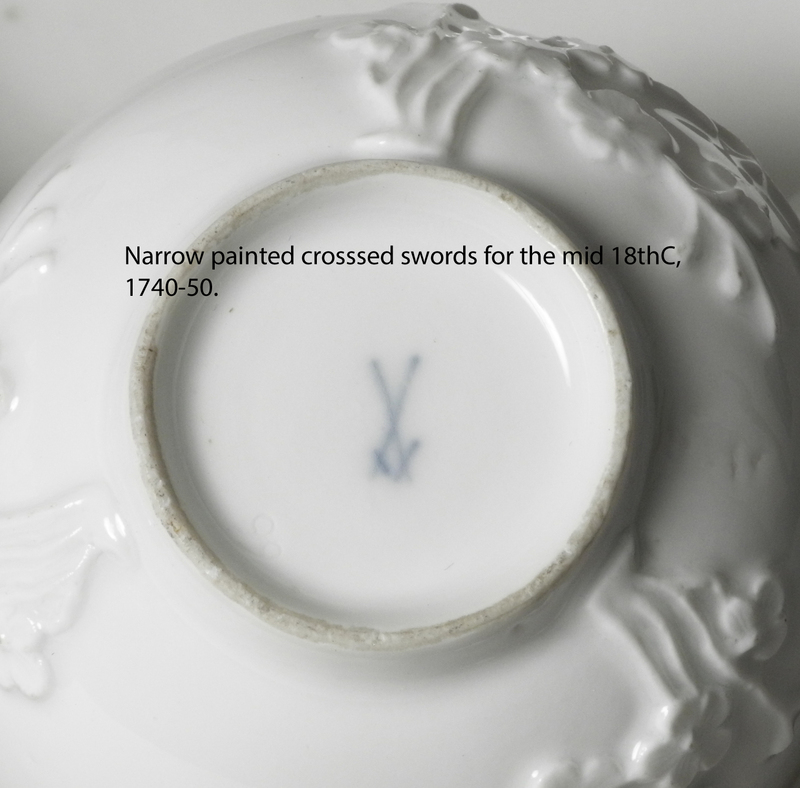 You have to look at the mark in context; analysing the type of porcelain, the colours of the enamelling, the style of the modelling and the age of the piece in comparison to real Meissen – for example; does the age of the piece of porcelain match the style of the painted crossed swords? 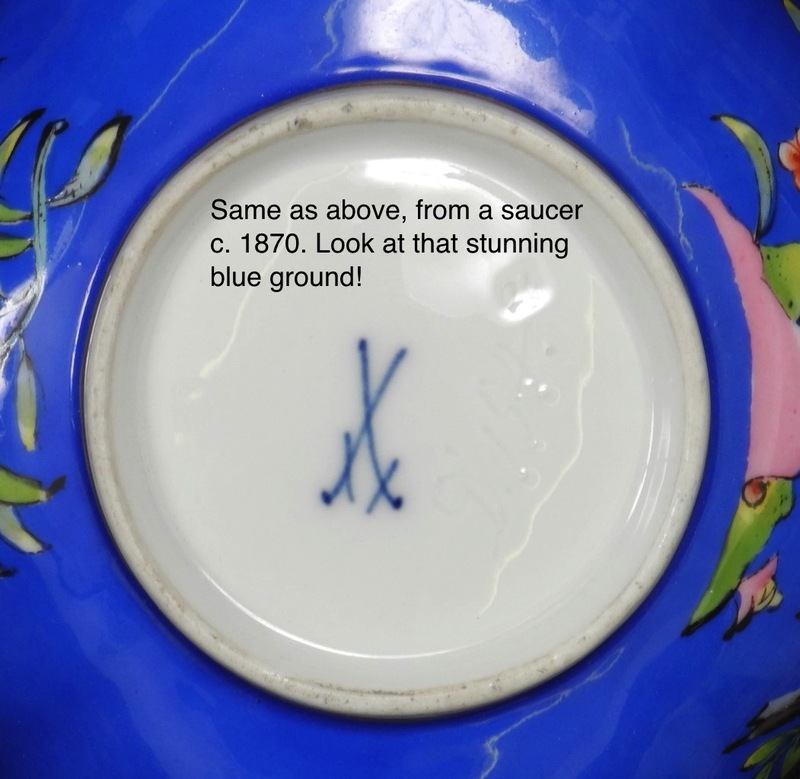 I am doing this because it amazes me the amount of porcelain out there that is wrongly attributed to Meissen, I should add here that this is my own personal work and opinion and should not be used as a reference when buying, selling or appraising antiques….. and no, the oval MEISSEN mark with a star below it is definitely not genuine! 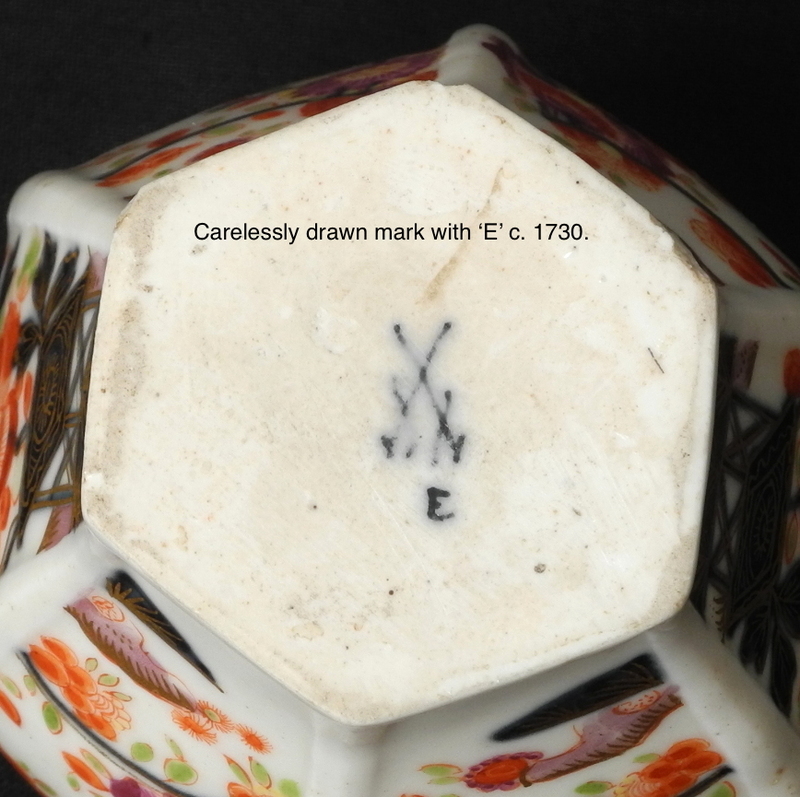 All the marks here are from pieces of my stock past and present. 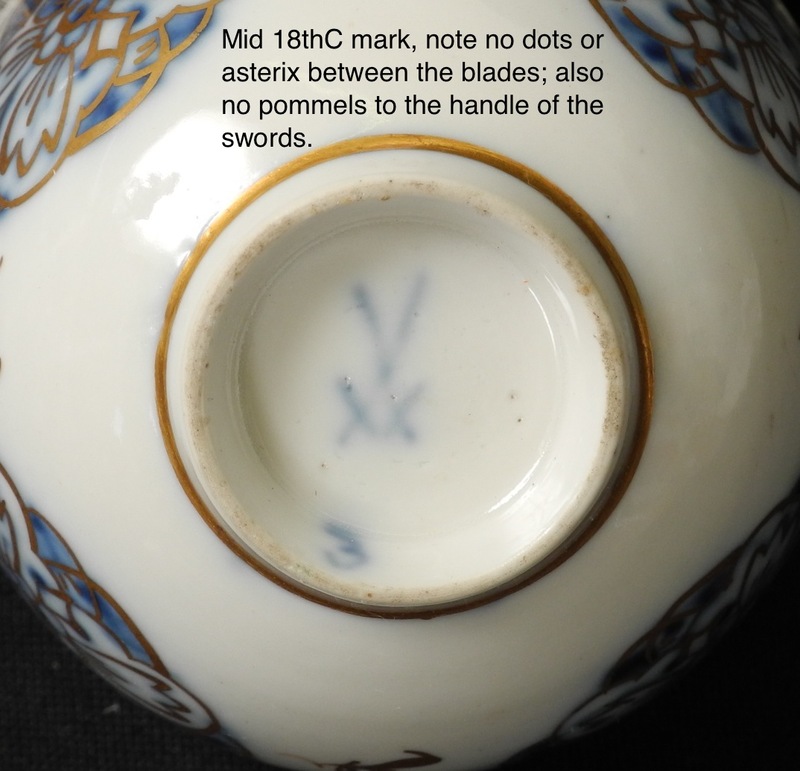 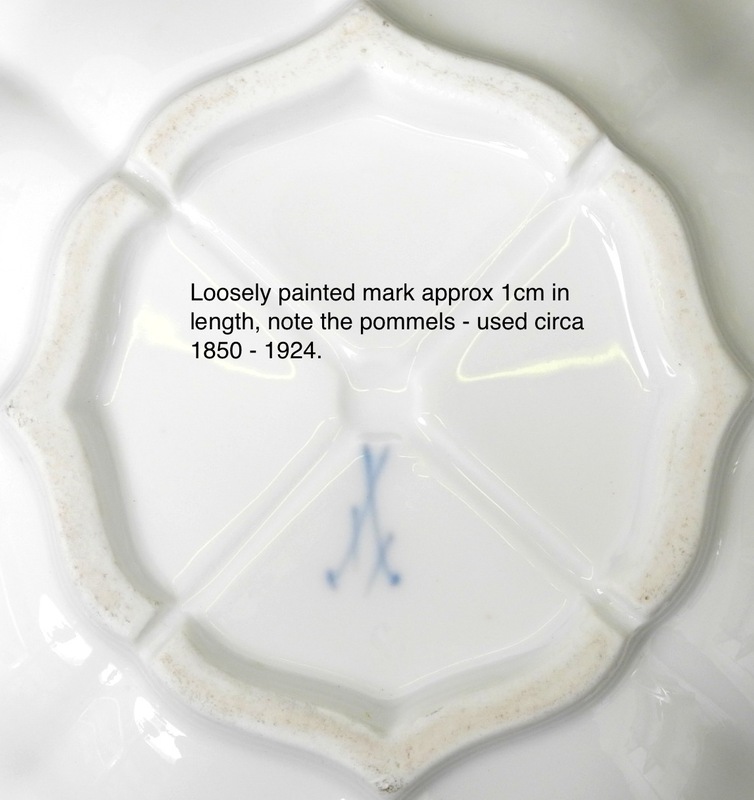 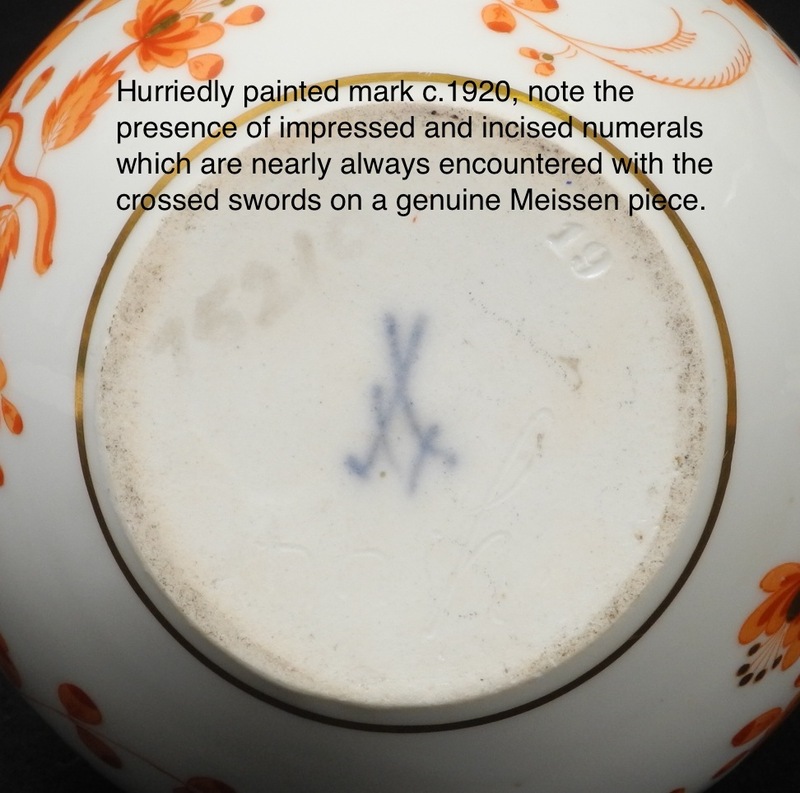 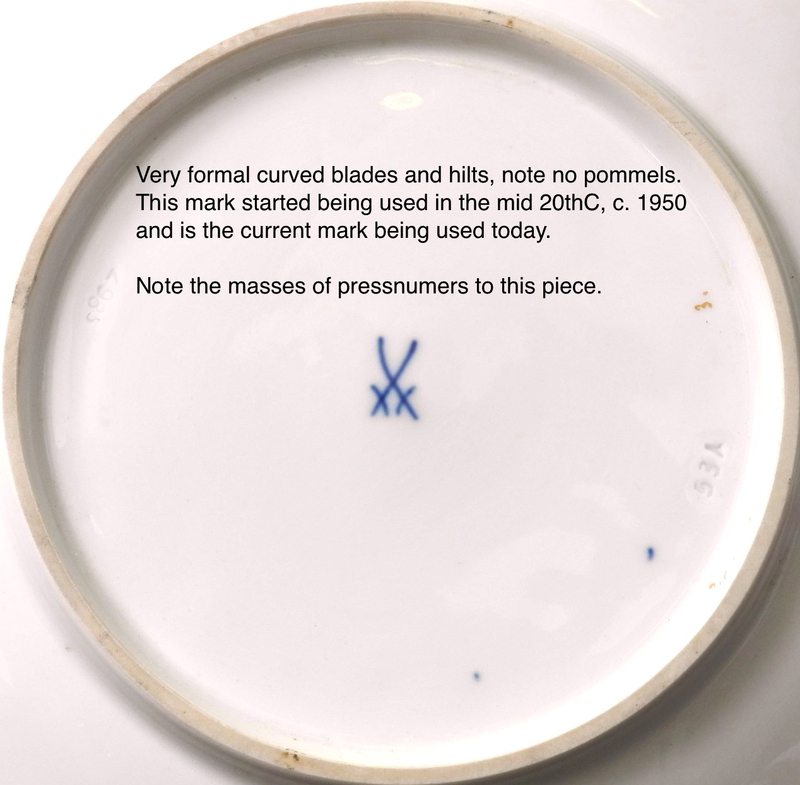 Now this is where it gets interesting – the following marks are NOT from pieces of Meissen porcelain…….